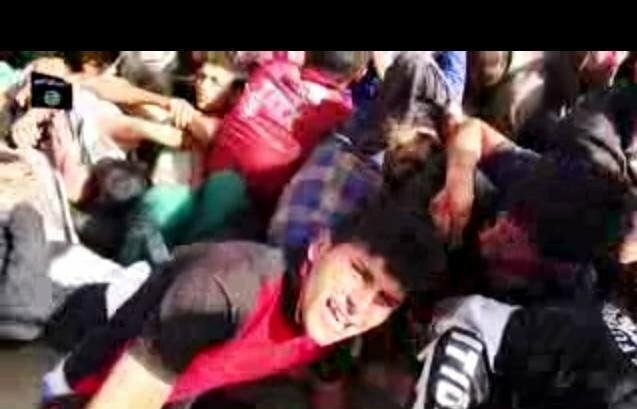 ISIS Supporters CHEER New MASSACRE VIDEO - "Most Beautiful Christmas Present"
ISIS released a new video Monday of a MASS EXECUTION of hundreds of Shiites in Tikrit. The Islamists teased the video before it was released Monday afternoon. 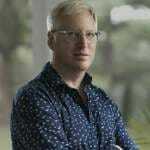 The video was particularly graphic and disturbing. These photos were posted on an ISIS Twitter account Monday. Another mass execution of “rawafidh” – those who reject the caliphate. This was posted on Twitter Monday afternoon, “Hundreds of dead rawafidh” (Twitter) Hundreds of Shiites were lined up and shot dead. 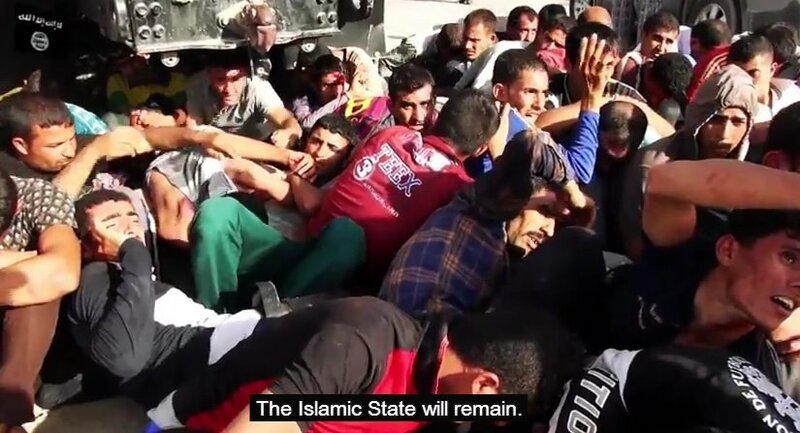 Crying young men — Before they were slaughtered by ISIS. The video shows several dump trucks full of young men on their way to slaughter. The longer 25 minute version of the massacre was pulled down by YouTube. A shorter 4 minute video (as of Tuesday AM) is still playing on Youtube. ISIS supporters cheered the bloody massacre video. 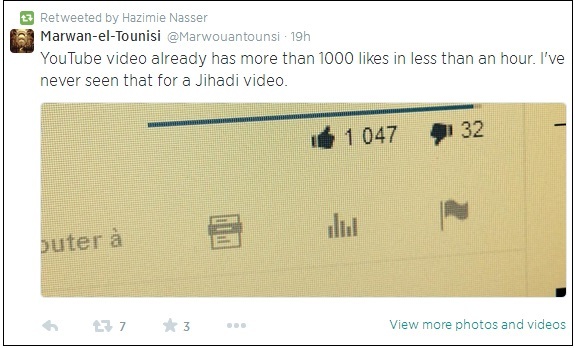 ISIS supporter Marwan el Tounisi celebrated the number of likes on the video in less than an hour. The terrorist supporters also defended the bloody massacre by quoting the Koran. The Western media has mostly ignored this horrific video.